Vodafone and Huawei have successfully tested 2 Terabit per second optical transmission over a 3,325km span on Vodafone's live network. The field trial achieved a capacity 20-times higher than current commercially deployed 100 Gbps systems. Specifically, Huawei reported a test achieving 2 Tbps with transmission distance of 1500 km using a super-channel PDM-16QAM-based high spectral efficiency solution. A second test achieved a transmission distance of 3325 km using a super-channel Nyquist PDM-QPSK-based ultra-long-haul solution. Both transmissions were on a link with G.652 fibers and erbium-doped fiber amplifiers (EDFAs) without electrical regeneration. The link used in the trial was on Vodafone's backbone network, passing through a few cities in Germany. "We are at the forefront of global 100G deployments, and have taken the lead in delivering key breakthroughs in technologies beyond 100G. Through collaboration with Vodafone and other leading international operators and customer-centric R&D, Huawei is always ready to build advanced optical networks for customers," said Jack Wang, president of Huawei's transport network product line. In July 2012, Huawei announced a prototype WDM platform capable of delivering 2 Tbps per-channel -- a 20–fold increase over the 100G channels available today. 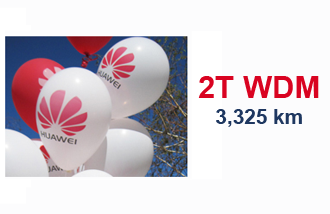 Huawei has previously demonstrated 400 Gbps technology at trade shows earlier this year. The 2 Tbps channel rate is achieved by using intelligent digital signal processing and high performance adaptive-SD FEC technologies. Huawei claims that the 2T signals with 300GHz spectral width can transmit over a distance of 1,000 km without electrical regeneration when using G.652 fiber and common EDFAs. The use of 2 Tbps channels expands the prototype WDM system capacity to 56 Tbps when utilizing wavelengths in both the C and L bands. At the time, Huawei said it was also planning to use flex transceiver technology on this prototype WDM platform. This will enable software-defined OTN, allowing a programmable network controller to configure parameters such as the number of subcarriers, subcarrier spacing, modulation codes and FEC modes, thereby achieving flexible adjustments in areas including line rates, transmission distances and transmission capacity. Huawei describes this as programmable "resilient tunnels". The global average connection speed decreased by approximately seven percent between the second and third quarters of 2012 to 2.8 Mbps, according to Akamai's newly released Third Quarter, 2012 State of the Internet report. The Akamai report, which uses data collected from its platforms deployed worldwide, provides insight into key global statistics including connection speeds, attack traffic, and network connectivity and availability, among many others. This edition provides additional analysis on the Operation Ababil DDoS attacks against the banking industry in the United States and an examination of mobile browser usage by network connection type. Akamai connected with more than 680 million IPv4 addresses from 243 countries/regions during Q3 2012, up 11 percent increase year over year. Akamai estimates that over one billion unique web users connected to its platform during the quarter. China remained the single largest volume source of observed attack traffic at 33%, followed by United States at 13%, and Russia at 4.7%. "Operation Ababil", the DDoS attack against U.S. banks that occurred in September 2012, generated up to 65 Gbps of total attack traffic that varied in target and technique. A significant portion (nearly 23 Gbps) of the attack traffic was aimed at the Domain Name System (DNS) servers that are used for Akamai's Enhanced DNS services. 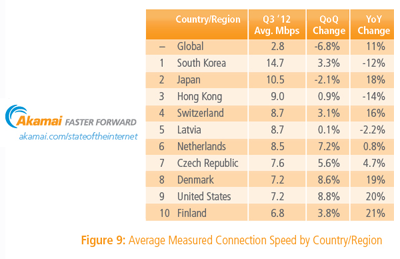 Akamai observed global broadband (>4 Mbps) and high broadband (>10 Mbps) adoption showing solid gains in the quarter. The global high broadband adoption rate grew by 8.8 percent quarter over quarter, reaching 11 percent, while the global broadband adoption rate increased 4.8 percent, growing to 41 percent. Procera Networks is enhancing its Deep Packet Inspection (DPI) technology with a PacketLogic Content Intelligence solution that is capable of correlating the categories of content consumed by broadband subscribers for up to 100 million URLs. 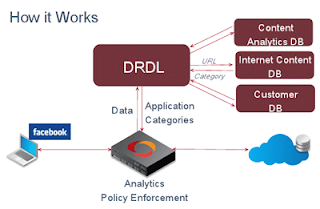 The content categorization occurs with minimal performance impact to any of the PacketLogic Real-Time Enforcement systems. Procera Networks said a single one of its PL20000 platforms can replace several racks of competing content categorization or filtering solutions, in addition to performing Intelligent Policy Enforcement. 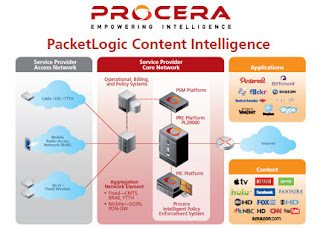 PacketLogic Content Intelligence solutions are currently in trials worldwide, and will be generally available in Q2 2013. The traffic landscape on the Internet is dramatically changing, with streaming video driving usage, social networks dominating consumer on-line activities, and traffic often secured using SSL. 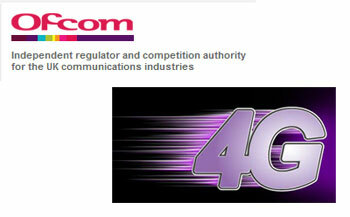 Bidding has begun in the UK's 4G mobile spectrum auction. Bidders are competing for spectrum in two separate bands – 800 MHz and 2.6 GHz. Cisco agreed to acquire Intucell, a developer of self-optimizing network (SON) software for mobile operators, for approximately $475 million in cash and retention-based incentives. Intucell, which is based in Ra'anana, Israel, offers a multi-technology and multi-vendor SON solution that provides real time RF visibility of the entire Radio Access Network, using OSS data to automatically manage and synchronize the network elements centrally. The platform uses a "Virtual Drive Test" to automatically tune the network to actual conditions as they develop and change. "The mobile network of the future must be able to scale intelligently to address growing and often unpredictable traffic patterns, while also enabling carriers to generate incremental revenue streams," said Kelly Ahuja, senior vice president and general manager, Cisco Service Provider Mobility Group. 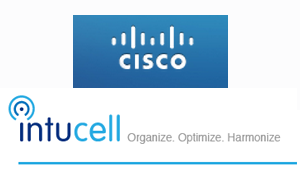 "Through the addition of Intucell's industry-leading SON technology, Cisco's service provider mobility portfolio provides operators with unparalleled network intelligence and the unique ability to not only accommodate exploding network traffic, but to profit from it." Investors in Intucell include Bessemer Partners. Intucell is headed by co-founder Rani Wellingstein (CEO), who previously was a founder and vice president of Celltick Technologies, a developer of mobile broadcast. Prior to that he was the general manager and a founding member of NKO, a pioneer in IP telephony, and led its sale to ECI Telecom in 1998. 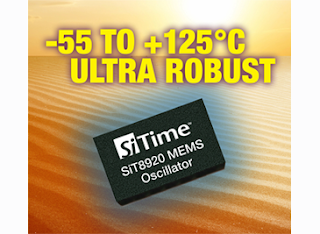 SiTime introduced a MEMS oscillator offering a wide temperature range of-55°C to +125°C for industrial and high reliability applications. Due to its unique silicon MEMS and analog architecture, the new SiT8920 outperforms quartz oscillators in every major performance category. It consumes half the power of quartz oscillators, is twice as stable, 20 times more reliable and 30 times more robust to shock and vibration. SiTime also noted that its MEMS oscillators incorporate unique features that are not available from quartz products, such as a unique "SoftEdgeT" rise/fall time control that reduces system EMI without additional components, expensive shielding or PCB re-design. SiTime is also introducing two additional devices that are well suited for replacing quartz oscillators and crystal resonators. All three of the new MEMS oscillators are sampling now with mass production scheduled for April 2013. "SiTime’s MEMS and analog expertise allows us to deliver unique, leadership products with performance that is far beyond what is available in the market today,” said Piyush Sevalia, executive vice president of marketing at SiTime. “The SiT8920 is a win-win for customers developing industrial and high-reliability applications. They benefit from dramatically better robustness and reliability, while simultaneously improving system performance. NASDAQ OMX NL has selected Equinix’s London, Slough LD4/LD5 International Business Exchange data center campus to host short-term and long-term interest rate euro- and sterling-based listed derivative products, pending Financial Services Authority approval. Equinix said its Slough data center campus puts NLX next to over 170 interconnected financial services customers, including a significant proportion of prospective trading participants. Internationally, Equinix also provides access to an ecosystem of more than 700 trading venues, market participants, specialized networks and technology service providers operating in the world’s top 16 financial markets. Gogo confirmed that so far it has been selected to outfit more than 400 aircraft with its Ku-band satellite connectivity services across several major airlines operating in the U.S. and internationally. Currently, Gogo has its Air to Ground (ATG) solution installed on more than 1,700 aircraft and its next generation ATG technology – ATG-4 – installed on more than 100 aircraft, bringing its total number of installed aircraft to more than 1,800 across nine major airlines. Japan's National Institute of Information and Communications Technology (NICT), Hitachi Kokusai Electric Inc. and ISB Corp. are testing a TV White Space Network based on the IEEE 802.22 standard operating at 470 MHz - 710 MHz. 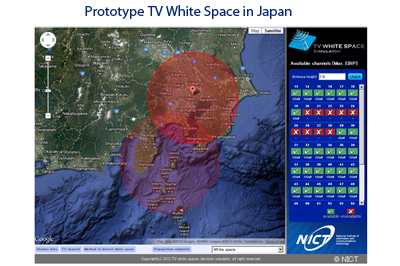 The prototypes TV White Space base station (BS) and consumer premise equipment (CPE) were developed by NICT and Hitachi Kokusai Electric. 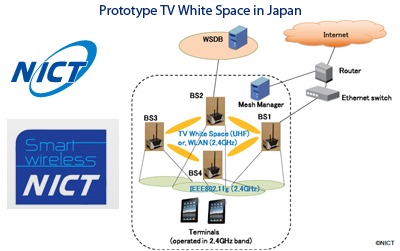 The PHY part, which was provided by Hitachi Kokusai Electric, allows the devices to use vacant TV bands over the frequency range from 470-710MHz. The MAC layer part, which was provided by NICT, ensures point-to-multipoint access with various QoS levels. It also offers interference estimation, geo-location and white space data base (WSDB) access over the IP. ISB Corporation provided the white spaces database to avoid interference with incumbent TV broadcasters. The organizations are optimistic that these prototypes could provide broadband wireless access to underserved and unserved regional areas around the world as well as bringing reliable backup broadband communications in an emergency. 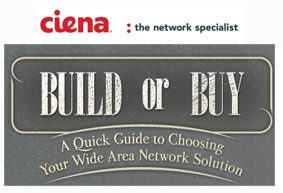 Ciena published a WAN infrastructure decision tree to help enterprises choose what type of network they need either for interconnecting data centers or connecting corporate sites. The infographic helps decide between private infrastructure and a telco service. The decision tree paths lead to (1) OTN mesh, (2) Traditional leased line (OTN, SONET/SDH, DWDM), (3) Layer 2 point-to-point VPN or, (4) Layer 3 VPN. JDSU introduced a cloud-based system to provide network operators with a centralized way to manage and analyze data from thousands of deployed JDSU test instruments in the field. The new StrataSync application consolidates data from individual test instruments for improved network and workforce visibility. 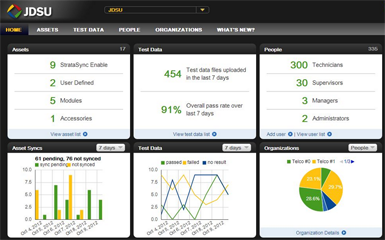 It provides automated tracking, management and reporting of test instruments. It also provides network technicians with access to critical data to help them pinpoint and resolve any issues to optimize network performance. StrataSync will be available in March 2013 and will initially support several JDSU test instruments that include the DSAM, DSAM-6300, HST-3000, T-BERD/MTS-2000, T-BERD/MTS-5800, T-BERD/MTS-6000/6000A and the MTS-8000 products. Future phases of StrataSync support an even broader range of network test instruments and will offer more customizable features. LSI reported Q4 2012 revenues from continuing operations of $600 million, compared to $523 million generated from continuing operations in the fourth quarter of 2011, and compared to $624 million generated from continuing operations in the third quarter of 2012. GAAP income from continuing operations for Q4 was $29 million or $0.05 per diluted share, compared to fourth quarter 2011 GAAP income from continuing operations of $11 million or $0.02 per diluted share. "2012 was a year of exciting progress for LSI as we delivered 23% revenue growth, strong expansion in operating margin and earnings per share from continuing operations, and record design wins. We introduced several important new products, and customers are increasingly looking to new LSI solutions for mega datacenters, mobile networks and flash," said Abhi Talwalkar, LSI's president and CEO. "LSI's intelligent silicon offers proven solutions as businesses turn to the cloud and look for new ways to accelerate their ability to quickly analyze, store, share and protect data. While there is uncertainty in the macro environment and softness in some end markets, we are centered in dynamic new growth cycles that are expected to drive long-term growth in our flash, server and networking businesses." Citing lower U.S. government spending and lower communications service provider spending on wireline-related equipment, Symmetricom reported revenue of $49.2 million for its second quarter of fiscal 2013, down $9.1 million, or 15.6%, compared to the $58.3 million reported for the second quarter of fiscal 2012. Symmetricom reported a net loss of $1.8 million, or $0.04 per share, for the second quarter of fiscal 2013, compared to net income of $2.4 million, or $0.06 per share, in the second quarter of fiscal 2012. Symmetricom also announced 20 job cuts as a means of controlling its costs. The company will also reduce the size of its facility in Santa Rosa, California.